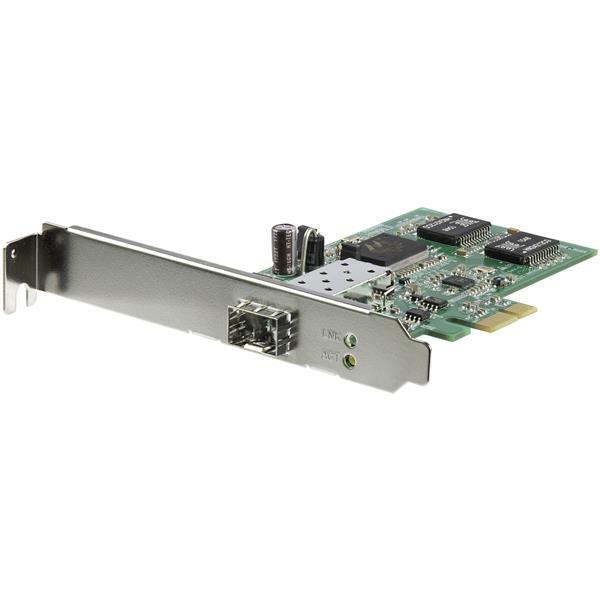 The PEX1000SFP2 PCI Express Gigabit Fiber Network Card lets you connect a PCI Express-based computer directly to a fiber optic network using the Gigabit SFP of your choice. 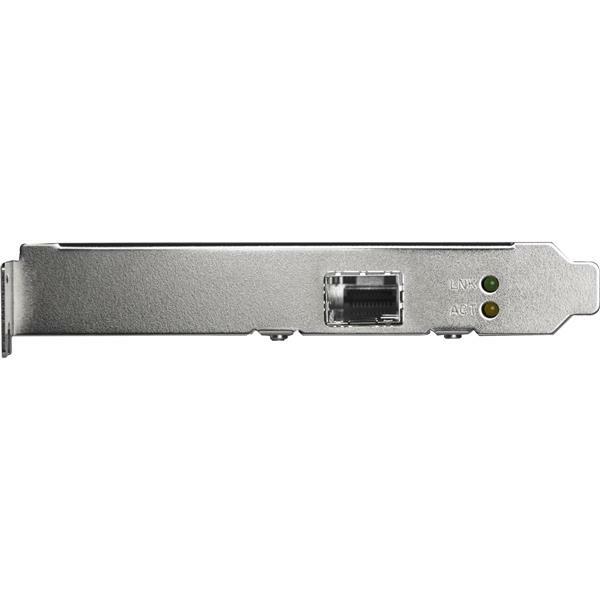 This Gigabit fiber card adapts to your network fiber connection and distance requirements to offer flexible configuration via an open SFP slot, and is compatible with most Gigabit SFP transceivers. With broad SFP compatibility the fiber network card lets you use your preferred SFP, giving you more options to connect your computer directly to a fiber network. With fiber connectivity, your network is not susceptible to electronic interference, often problematic with standard RJ45 copper networks, making this versatile fiber card ideal for secure network setups. Plus, the card is equipped with a standard profile bracket and includes a low-profile/half-height bracket, perfect for installation in small form-factor computers or 1U server and rackmount applications.